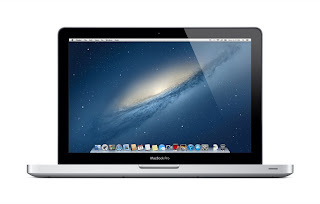 Amazon has the latest MacBook Pro 13" with a 2.5GHz Intel Core i5 processor (Ivy Bridge), 4GB RAM, and a 500GB HD for $1,034 $962.54. It's not the MacBook Pro with Retina display, nor the slimmer MacBook Air (neither of which are upgradeable), but I'm seriously considering jumping on this. I think that down the road I would upgrade the RAM to at least 8GB and throw a 256GB SSD SATA 3 drive in it. What do you think, folks? Update: Best Buy is also offering the same $1,034 deal. While Amazon's price dropped from $1,034 to $962.54. Update (11/23/12, 4:23 pm): The price on Amazon dipped to $962.54 briefly, then jumped back up to $1,034. Amazon's prices tend to fluctuate. Utilize CamelCamelCamel to set price alerts for a pre-determined price for a product on Amazon.